We have so much to be grateful for at Canton Middle School. 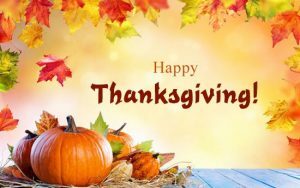 During this time of giving thanks and gratitude, we would like to express our heartfelt thanks for our amazing students, parents, teachers, staff, and community of Canton Middle School. Thank you to our students who show up and work hard every day. Your youth, spirit, eagerness to learn fills the halls of Canton Middle School, and we are blessed to watch you grow and learn. Thank you to our parents and guardians for having faith in Canton Middle School, and for sending us your beautiful children. Your children come to us daily with strong values, respect, tolerance, and appreciation. Thank you to our teachers and staff for the commitment that you make every day to the students at Canton Middle School. Thank you for striving to meet expectations that we have set for our district and for your continued dedication to our students in their education. Thanks to our community, without your continued support the success of our school would not be possible. Thank you for your commitment to ensuring success for our district. Together with your continued support, we are able to bring opportunities to our students that go far beyond the classrooms. We hope that you enjoy your Thanksgiving Break which begins on Wednesday, November 21st. We look forward to seeing you back on Monday, November 26th. Happy Thanksgiving wishes for a holiday weekend filled with family, friends, love and laughter!